One of the fastest growing marques on the UK car market, is ŠKODA. Their rate of growth is staggering and the flow of new and updated models seems to have no end. 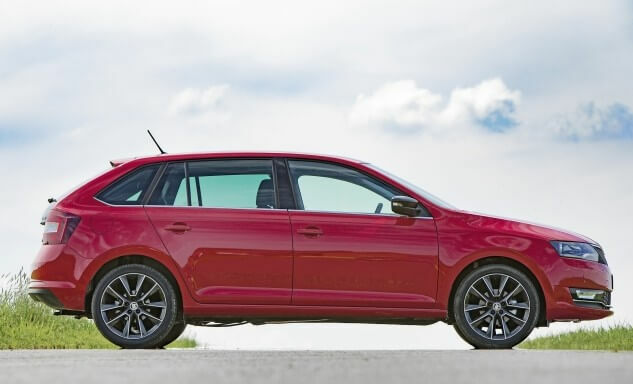 Gone are the days when ŠKODA was known as being the economy end of the Volkswagen - Audi stable. The SKODA brand now stands tall as one of the best manufacturers. 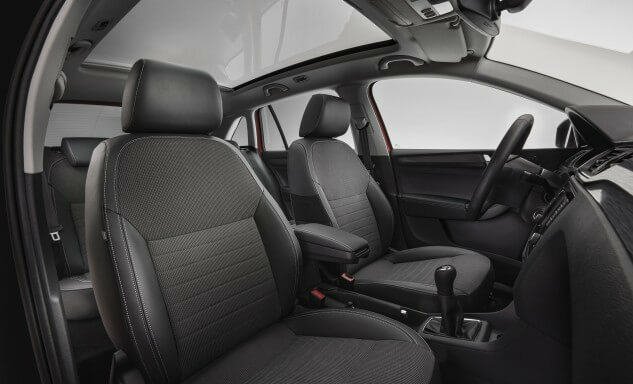 One of our latest models to be given a thorough refresh is the Rapid Spaceback …that’s basiclly a Rapid estate, based on the Rapid saloon but has more space in the back. The Spaceback is available with four engine options. There’s a 1.0 litre 3-cylinder petrol engine in two states of tune, plus 1.4 and 1.6 litre diesels. The 1.4 model is incredibly economical; you’ll squeeze around 70 miles from every gallon of diesel. 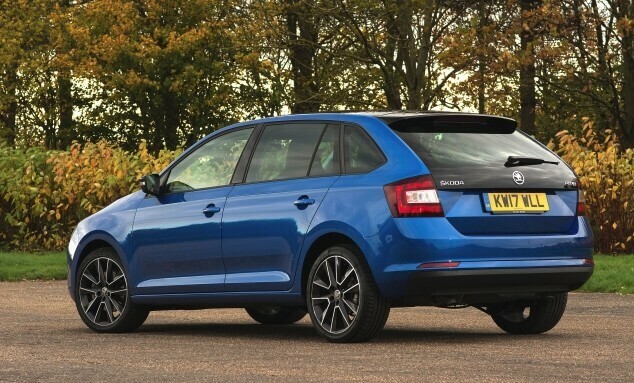 Prices for the ŠKODA Rapid Spaceback range start at £14,410 for the 1.0 litre 95PS petrol version. The pick of the bunch however, is the 110PS petrol engine which will set you back £16,345, although it starts with the higher level of SE Tech trim. You’ll manage fuel consumption of just over 61mpg and hit 60mph in under 10 seconds. It sounds great and, despite being a small engine in a sizeable car, there’s plenty of in-gear pull. In terms of kit, you get air conditioning, sat nav, DAB Radio, natty alloy wheels, rear parking sensors, touchscreen, electric windows and mirrors, cruise control and a host of safety equipment. The interior is comfy with room for five adults plus a load of clobber. The rear load area is wide and flat with a low lip so it’s a doddle to slide in bulky items. The ride has that happy blend of soaking up lumps and bumps at town speeds, but is sufficiently firm at motorway speeds. The 5-speed manual gearbox has a nice, snicky feel to it and allows you to keep the revs spinning, making the Rapid Spaceback a thoroughly enjoyable car to drive. It will be ideal for the school run, shopping trips, family outings or commuting. And it's not just our cars that are outstanding in their field. Our dealer network also scores top marks when it comes to customer satisfaction. Here at Pulman SKODA, we won 'Retailer of the Year' for both 2016 and 2017! This is awarded to top performing dealers in the network for both sales volume and customer service. We were thrilled to be recognised for our hard work for a second year in a row. 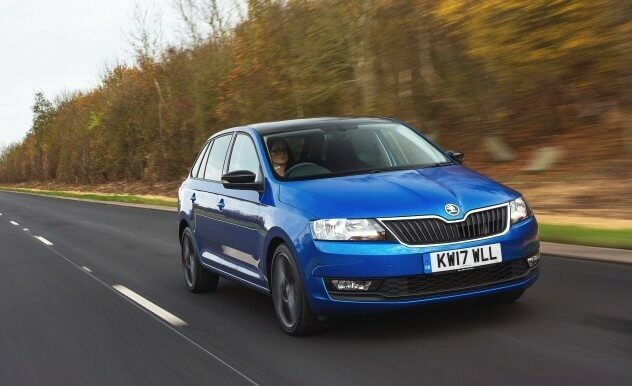 In other words, there’s a lot to like about the ŠKODA Rapid Spaceback and the Pulman ŠKODA experience in general. Want to book a test drive? Click here!